Dr. Douglas Beischel was born and raised in Calgary, Canada. His mother and three older sisters still reside in Calgary and his younger brother lives in Kansas City. He is the proud father of four children. Dr. Beischel attended The University of Western Ontario and obtained a B.Sc. degree in Biology. He graduated from the University of Iowa College of Dentistry in 1993, and has been in private practice since his graduation. Dr. Beischel is a past president of the Arizona Academy of General Dentistry and a fellow of the International College of Dentists. In addition to his private practice in Paradise Valley, Dr. Beischel volunteers at the John C. Lincoln Hospital Children’s Dental Clinic and was the Dental Chief of Staff for several years. 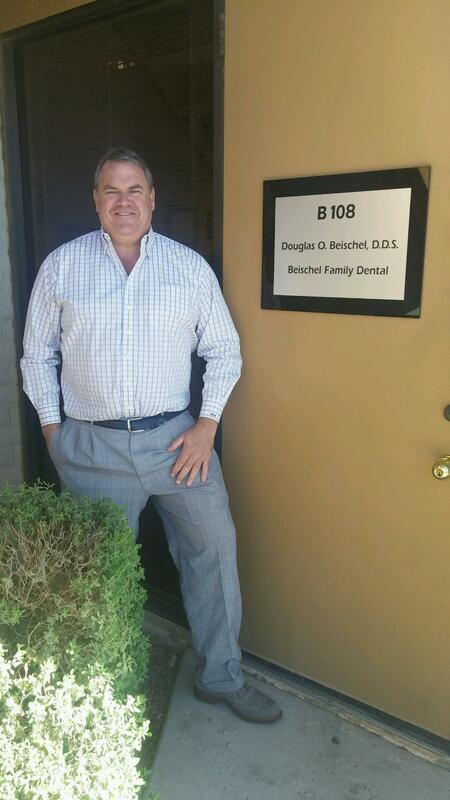 Dr. Douglas Beischel is a skilled practitioner of dentistry with an eye for detail and quality. When you meet Dr. Beischel, you will find that he has a calming demeanor, a pleasant wit, and a genuine interest in your well-being.